Summer of 2018 has been extremely warm in Finland; in many places hottest of the statistical history. 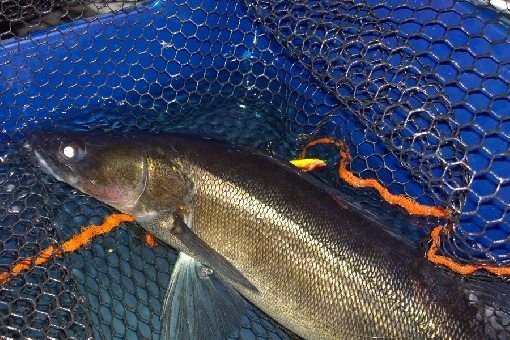 Zander anglers have enjoyed wonderful weather and good fishing. The growth rate of zander varies a lot in different water systems. That is why strong year-classes born in warm summers on 2010s show up unequally in different lakes. At the moment 7‒8 years old zander ‒ born in 2010‒2011 ‒ weigh typically 1‒3 kilos. Long and warm summer of 2018 means a long growth season for zander that thrives in warm waters. Before the next winter zander will be much bigger that they would be after colder season. Big zander grow even bigger and especially first-year juveniles reach quickly the critical length that help they avoid predator fish. After a warm summer the number of juveniles survived is much more bigger than after a cold summer period. There have already been some field observations of strong zander year-class of 2018.